Our single departmental plan sets out our objectives and how we will achieve them.DCMS has substantial responsibilities and achieves significant social and economic impact. Our sectors make up more than 14% of the UK economy and our efforts enrich the lives of people across the UK; from providing access to superfast broadband, to boosting social action and building participation in culture, the arts and sport. From its earliest origins as the Department of National Heritage, DCMS has grown to the department it is today. 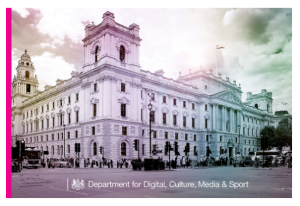 A department that focuses on the UK’s future as a digital, global leader with innovation, technology and creativity at its economic heart – together with the heritage, sporting and cultural assets that make it a great place to live, work and invest.